BEST SELLER. 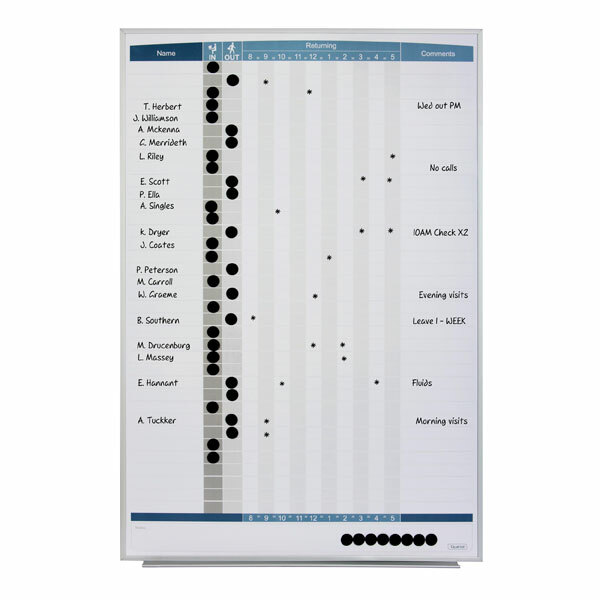 This Visionchart Staff Status Board helps track up to 30 names, ideal for every busy workplace or staff roster system. Board features columns 9 am to 6 pm with 1/2 hour intervals together with a Notes column so you can write special activities. 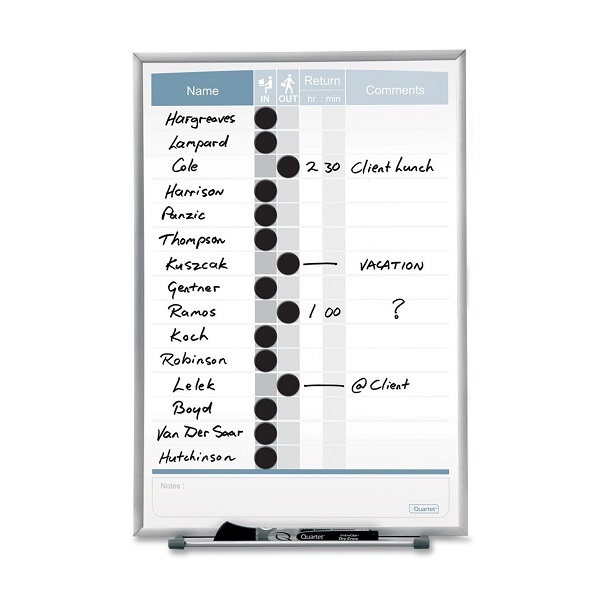 This Visionchart Staff Status Board helps track up to 20 names, ideal for every busy workplace or staff roster system. 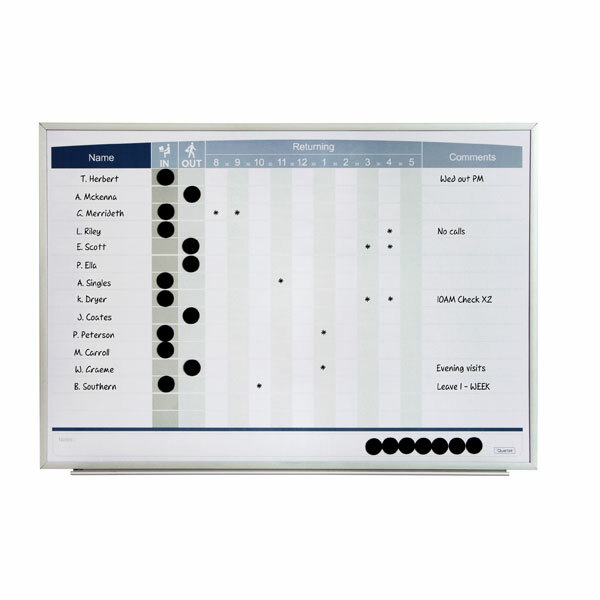 The larger Quartet Matrix In Out Board helps track up to 36 employees. 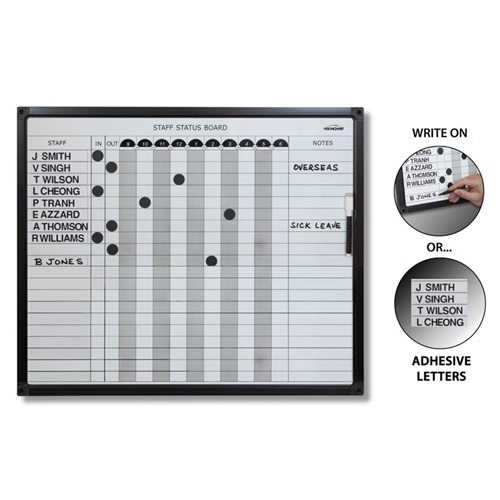 The smooth magnetic dry erase surface is perfect for notations and the magnetic dots quickly identify who is in and out of the office. 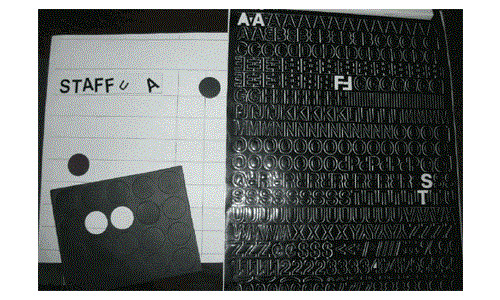 Each In/Out Board Set contains 60 x magnetic black in/out 20 mm circles, 72 x magnetic black strips (110 x15 mm), 2 sheets of with multiples of letters, number and symbols, a Quartet dry-erase marker and an attachable marker tray for convenient accessory storage together with a wall mounting kit. 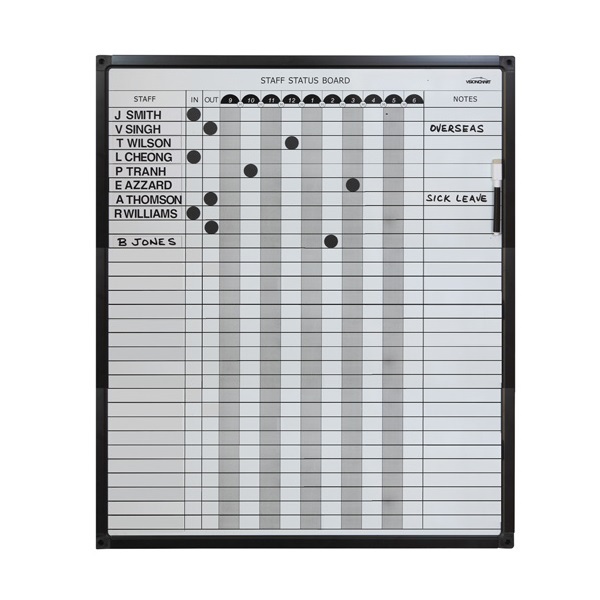 The Quartet Matrix In Out Board helps track up to 15 employees on the painted steel magnetic surface. Doubles as a bulletin board and delivers quality performance when planning and organisation are needed in any office environment. Each In/Out Board Set contains magnetic black in/out circles, a Quartet dry-erase marker and an attachable marker tray for convenient accessory storage.